At an approximate 58mm tall, he is the world’s smallest chef. And this summer, you could be having dinner with him in the heart of the city. 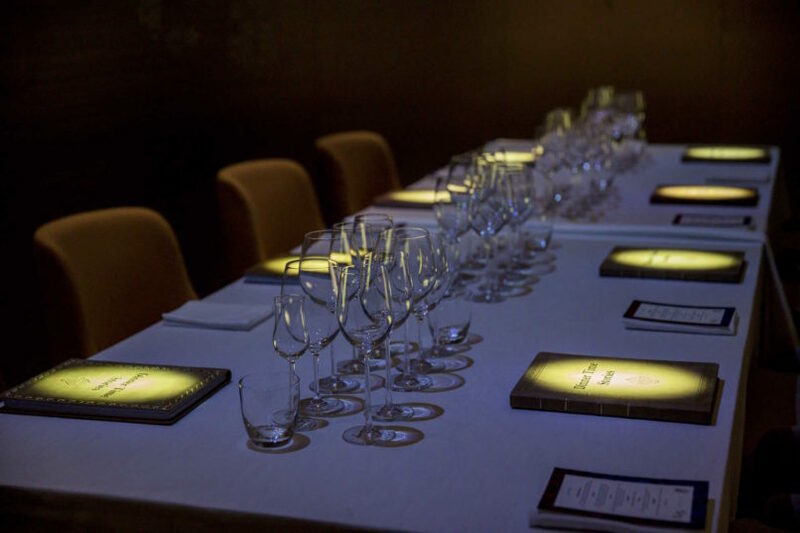 For the first time in Thailand, Dinner Time Stories is bringing its infamous visual technology to a Bangkok dining table, taking guests on a culinary journey alongside a tiny, animated French character known as Le Petit Chef. 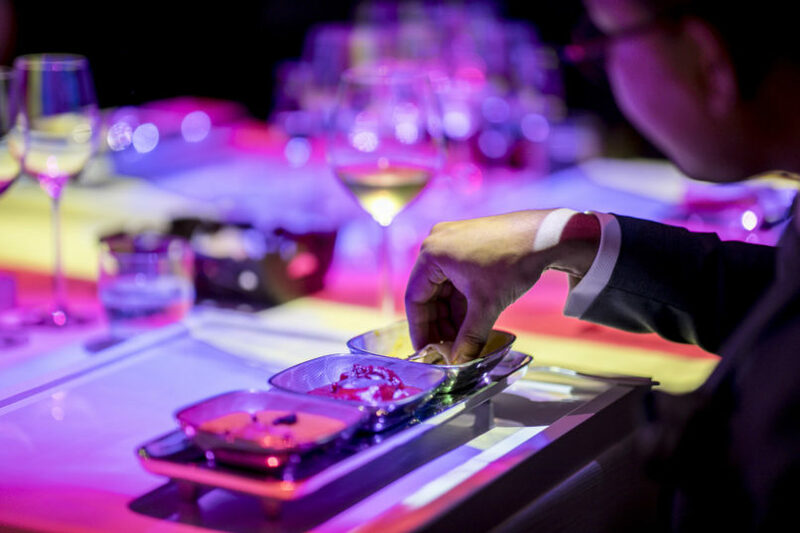 Giving ‘dinner and a movie’ a whole new definition, the experience is centred around a 3D projection onto the dining table, allowing a series of sounds and visuals to unfold before each individual diner, and elevating a regular fine dining experience to jovial heights. Hosted at the Park Hyatt’s Embassy Room, Le Petit Chef comes to Bangkok following greatly successful launches in Dubai and the United Arab Emirates. It is the first time this kind of dining experience is being offered in Southeast Asia, and about a week since its start, is already proving to be a great hit. Seated in the private room at the Park Hyatt’s renowned modern European restaurant, guests are invited to partake in a culinary journey, following the footsteps of the legendary Marco Polo across the Silk Road. Le Petit Chef is the adorable host for the evening, appearing to the left, right, and centre of the plate, and narrating the entire experience. 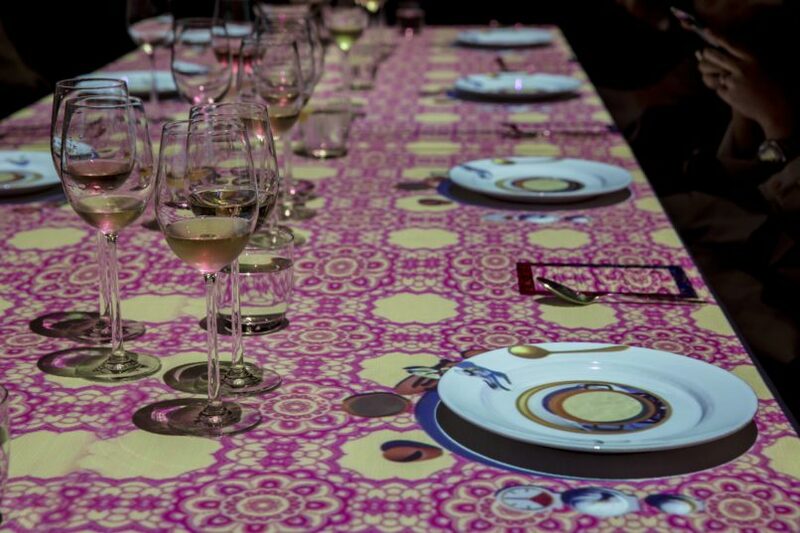 As the table cloth becomes illuminated with swirling coloured hues from the overhead projectors, you’ll be teleported across the seas, riding on the back of a bird, visiting an Oriental spice market, and escaping the fiery breath of a dragon. Using 3D visual technology, the immersive animation is dinnertime entertainment at its finest. Yet whilst the projected movie before your eyes is sure to steal the show, the food still manages to hold its own. Each of the five courses prepared by (real-life) chef Pierre Tavernier reflect the cuisine of a particular region on the Silk Road, from France and Arabia to India and China. The combination may seem odd at first, yet follows the flow of the animation perfectly, whilst still bringing an authentic richness in flavour. From a classic amuse bouche from Marseille to fragrant bites from the Middle East, the menu is as versatile as it is interesting, with various components to each course. Indeed, it is an experience for all the senses, and a particularly great one for groups to share. Highly recommended for families with little ones, or foodies looking for something refreshingly different, Le Petit Chef is bringing his cinematic 3D dining to the Embassy Room from 27 March to 31 July. Sessions run Sundays to Wednesdays at 7pm, and Thursdays to Saturdays at both 7pm and 9.30pm. Much like at the movie theatre, it is highly advisable to come on time, as the culinary curtain cannot be held, and the animation plays for one and all diners at the same time. Prices range between THB 3299++/person for Journey A and THB 3999++/person for Journey B, with an additional THB 1199++/person for wine pairing, and THB 1599++/person for champagne and wine pairing. To book, head to lepetitchef.asia/parkhyattbangkok.